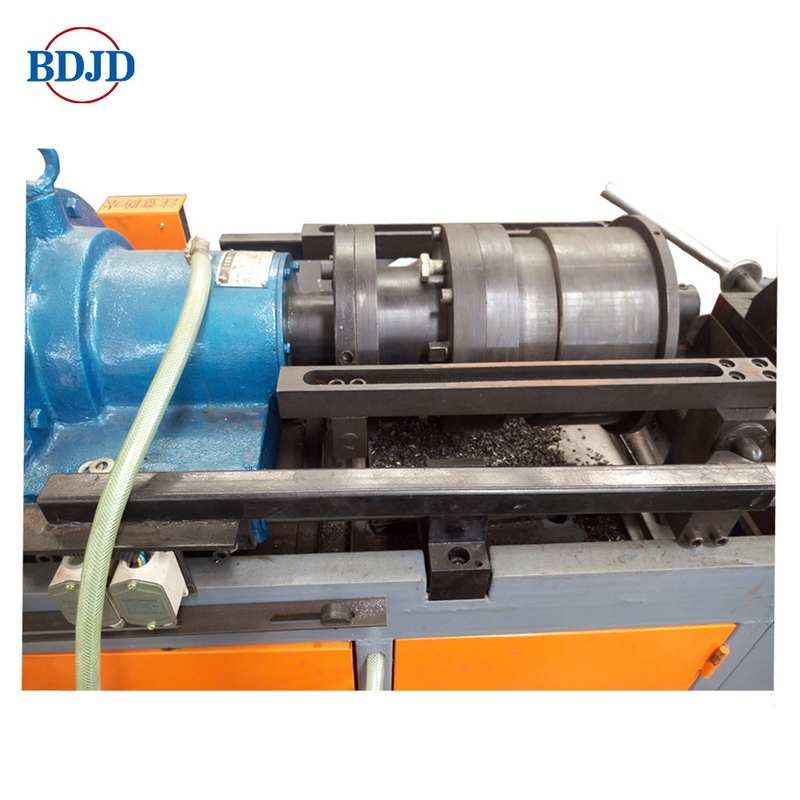 This machine is mainly used in the construction of ribbed steel bar straight screw thread processing, is to achieve reinforced straight thread connection process of key equipment. 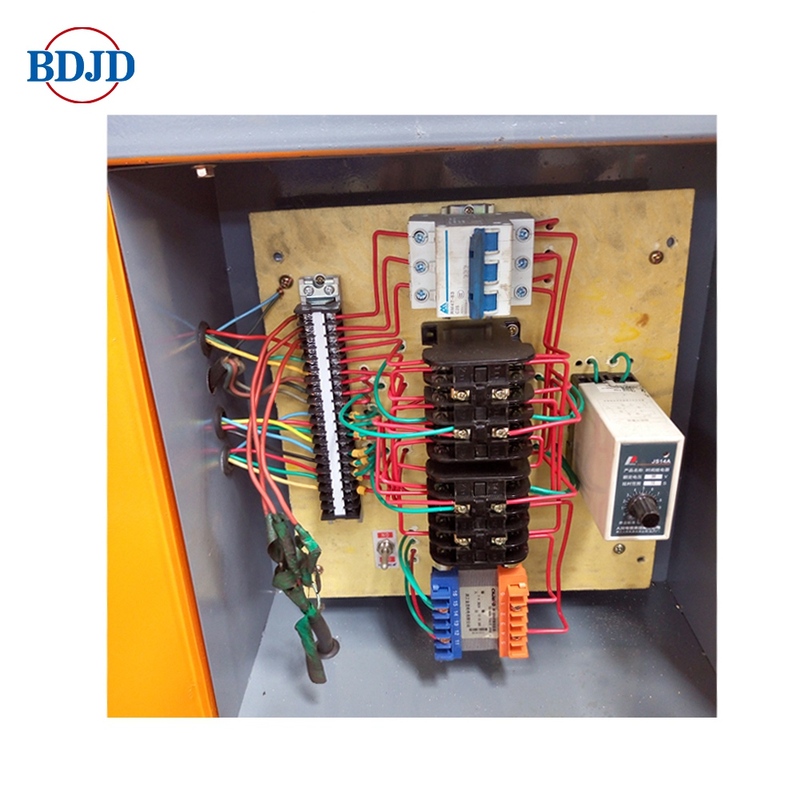 It consists of frame, clamp, guide, slide, reducer, stripping rib rolling head, feeding mechanism, automatic opening and closing mechanism, stroke limit structure, cooling system, electrical control box and control system. Baoding Jindi Machinery Co., Ltd, established in 2002, is located at industrial cluster zone, Dingxing County, Hebei Province, with floor area 45,000 square meters and building area 26,000 square meters. It is near Beijing, Tianjin and Baoding City, so the transportation is convenient. We are the vice president unit of Reinforced and Prestressed Machinery Branch Under China Construction Machinery Association(CCMA), and the authorized strength unit of Technical Specification for Mechanical Splicing of Steel Reinforcing Bars JGJ107-2013 industry standard. We are a professional manufacturer of rebar mechanical splicing equipment, rebar processing machinery, rebar coupler and related products. We have passed ISO 9001, CE, SGS, GOST, TAC certificates. Now we yearly produce more than 10,000 sets of various machines and 50 million rebar couplers. The products are exported to more than 50 countries at Asia, Africa, Europe, America, etc. Since 2009 we had attended many times Canton Fairs and Bauma international construction machinery exhibitions. We devote ourselves to provide customized service and solutions. Our service is that we design and produce according to each country rebar information and construction requirements. Besides developing international trade, we are also keen on developing technical cooperation with foreign customers, explore overseas market, and create brilliancy together. Factory Location: No.9 HUAJIAN ROAD, DINGXING COUNTY, BAODING CITY, HEBEI PROVINCE, CHINA.